As easy and convenient as technology makes our day-to-day lives, making sure personal information stays personal is an ever-present concern. For leaders in healthcare, cybersecurity continues to be one of the top challenges plaguing the industry, and as officials gear up for the annual “Top of Mind for Top Health Systems” Conference, the results from this year’s survey show what healthcare officials are concerned about moving forward. The survey was conducted in three parts and was led by the Center for Connected Medicine in partnership with The Health Management Academy. Forty healthcare systems across the United States participated in the survey and were first asked to fill out information regarding the top areas in the digital health field for 2019. A few months later, the researchers sent out another survey that asked respondents about telehealth services, interoperability, and cybersecurity. Companies like Amazon, Apple, and Google testing the waters in the healthcare market was a concern for many respondents. While just 10 percent said they were “very concerned,” 70 percent said they were “somewhat concerned” with the tech giants getting involved in healthcare. Survey participants were also concerned about cybersecurity, as 87 percent said they plan to increase spending on cybersecurity initiatives in the next year -- and no one said they’d decrease spending. On a positive note, healthcare officials are confident that with both government and commercial dollars, telehealth services will be completely funded by 2022. These services include videoconferencing, mobile health text alerts, and remote patient monitoring, and are beneficial for long-distance healthcare, health education, and health administration. Headlines from the last year show that health officials’ concerns -- and plans -- for the next year are warranted. Recently, Amazon has joined forces with Berkshire Hathaway and JPMorgan Chase to create a non-profit joint venture that will streamline their employee healthcare programs. The goal is to provide high-quality healthcare solutions that are technology-based and affordable. Amazon also acquired PillPack earlier this year, an online pharmacy that sends customers individualized packages of pills every week. Apple has entered into the healthcare world, offering employees and their families their own health clinic. AC Wellness Network will also use the latest technological practices, which are designed to cater directly to the patients. On a more public scale, Apple rolled out their Health Records feature earlier this year that allows iPhone users to access parts of their medical records through the Health app. The tool was designed to give consumers greater control over their medical records and is being used at over 100 hospitals and clinics across the country. 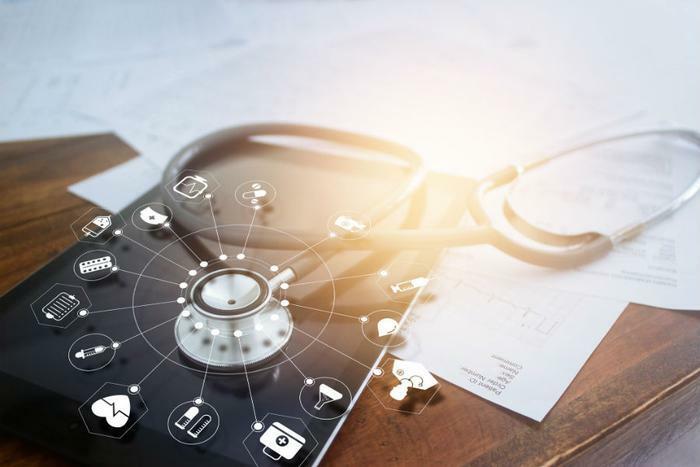 Last month, the Food and Drug Administration (FDA) and Department of Homeland Security (DHS) teamed up to work to prevent cybersecurity attacks on medical devices. Hackers have been known to target hospital and medical office computers as a way to steal confidential patient information, and oftentimes patients’ individual devices aren’t equipped with the protection necessary to ward off hackers. Pacemakers were under attack last year, when the FDA announced 465,000 devices across the country were vulnerable to attacks and had security issues. Consumers with the devices were urged to contact their healthcare providers to install firmware onto their pacemakers. As for telehealth, CVS launched MinuteClinic visits through its smartphone app earlier this year in an effort to provide around the clock healthcare to patients. CVS has spent a great deal of time researching the endeavor, and found that 95 percent of patients willing to try the services were “highly satisfied” with their experience. Just how secure is your online identity?